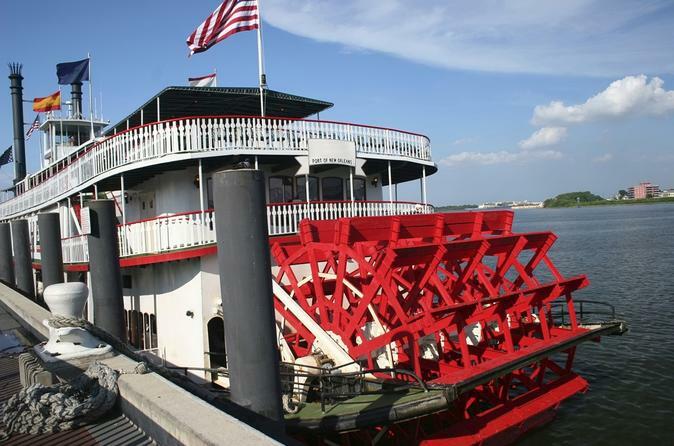 Board the historic Steamboat NATCHEZ to the delightful tunes of the Steam Calliope. Experience the sights and sounds of river life that enchanted characters of history and literature - like Mark Twain's Huck Finn and Tom Sawyer - and see the bustling activity of America's second largest port! View the ever-changing skyline of 'The Crescent City' from the sunny decks or climate-controlled comfort of the majestic Steamer Natchez. Cruise past the Chalmette Battlefield, where the legendary Jean Lafitte and his buccaneers joined forces with Andrew Jackson to defend the city against the British in the Battle of New Orleans. You also have the option to add on a delicious buffet lunch.